Winner of numerous literary awards including the Baileys Women's Prize for Fiction, the Geoffrey Faber Memorial Prize, and the Goldsmiths Prize, Eimear McBride's debut novel A Girl Is a Half-formed Thing plunges us into the psyche of a girl with breathtaking fury and intimacy. 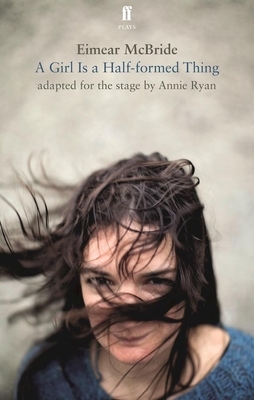 Adapted for the stage by Annie Ryan for The Corn Exchange, Eimear McBride's A Girl Is a Half-formed Thing premiered at the Dublin Theatre Festival 2014. Eimear McBride grew up in the west of Ireland and studied acting at Drama Centre London. Her debut novel A Girl is a Half-formed Thing took nine years to publish and subsequently received the Bailey's Women's Prize for Fiction, Kerry Group Irish Novel of the Year, the Goldsmiths Prize, Desmond Elliot Prize and the Geoffrey Faber Memorial Prize, as well as numerous other shortlistings including the Folio Prize and the Los Angeles Times First Fiction Award. She occasionally writes and reviews for the Guardian, the New Statesman and the TLS.